Have you ever experienced pain in the ball of your foot? It is incredibly common, and the pain can become debilitating. Below we will go over more about this foot condition and recommend some great shoes and insoles that may help with the pain. Metatarsalgia is a disease or syndrome that some people tend to experience in their feet. Also known as a pain in the ball of the foot, this starts as an inflammation on the sole of your foot, in the back part, making it harder to walk and eventually very painful. So, if you are suffering from this disease, you may want to know how to address this pain. For this pain, you can use the best shoes for metatarsalgia that will help a lot in relieving and curing this suffering, making it easier to walk and eventually being able to live as normal as possible without such an annoyance in your feet. However, finding the best shoes for ball of foot pain isn’t as easy as it seems, so it is important that to know what makes a good shoe for this annoying syndrome. If you want to know about the best shoes for metatarsalgia you can find on the market and the best ways to cure this suffering, we recommend you to take a look further into this article and find out! Metatarsalgia is the pain on the anterior zone of the foot, where the metatarsal bones and joints are located, making it difficult to walk and very annoying in many activities due to the pain it releases. Most people tend to feel these symptoms after wearing tight shoes for long times, pressuring their ball of their feet causing pain in the metatarsal region of their feet. This happens because most shoes are not made to support the metatarsal heads that are the most common causes of this pain on the feet, but this suffering can also be felt in the big toe area depending on the type of shoe. There are various factors which can cause metatarsalgia or pain in the ball of the foot. However, the most common is a prolonged pressure on the ball of the feet, aggravating the state of the metatarsal heads situated on the anterior part of each foot, making it difficult to have proper movements and eventually inflicting pain that can be very annoying. The main causes of pain in the ball of the foot are when people use shoes that are too restrictive or tight, forcing the feet to function in a limited space that can eventually harm the metatarsal heads. This can also happen when women wear high-heel shoes, making too much pressure on the toes and toe area, increasing the probabilities of a metatarsal head getting affected. But some people can actually start feeling this syndrome just by practicing or being involved in high-impact activities that demand a lot of movements and thus much more pressure on their feet. If a sportsman, for example, doesn’t wear the right shoes with arch support, good soles and comfortable design, Metatarsalgia can be a consequence, making it difficult to keep practicing. How will the Right Shoes Help to Relieve Pain of Ball of the Foot? The perfect shoes for metatarsalgia will have extra support and padding on the metatarsal area or arch which is composed of the metatarsal bones and joints, helping to relieve any pain or swelling the person may have on the affected area. With this proper cushioning on the foot, the nerves will have much more space and less pressure to stop the pinching or bad effect between the joints. On the other hand, a proper support on the area will lift and help in separating the metatarsal bones from each other, making a better feeling on the foot, relieving the pain and swelling. However, this support can come from different sources, like the best shoes for metatarsal support or the best insoles for ball of foot pain. But it is always important to choose the correct pair of shoes or insoles. Depending on the type of feet and activity you want to practice in order to choose the proper ones that will help you independently if you want to run, walk, play sports, dress elegantly or just for everyday activities. When choosing the best shoes for metatarsal pain you should take into account your physical characteristics and type of use you’re going to give to those shoes. For this, we recommend trying more than one pair of shoes in order to know which the one that better suits for you is. Also, you may want some that you actually like, depending on the colors, design, and comfortability. It is important that you try more than one in order to know what works for you, as every foot is different from each other, especially when it comes to the type of arch, the length, width and height of the feet. However, most of the best shoes for metatarsalgia will work on almost every feet, especially the insoles. But what you should be looking especially should be shoes and insoles with a proper arch support and great cushioning on the foot. Not only it is important the anterior area of the foot is protected, you should also protect the toes area and the mid-part of the foot, where the arch is located in order to avoid bad movements or uneven pressure. However, some people tend to have flat arches where is recommended to use wide toe box shoes. There are also people with high arches, which are one of the most common types of feet from people that suffer from metatarsalgia, where it is recommended to use absorbing insoles in order to relieve pressure on the metatarsal area and especially the metatarsal bone. You should just remember that all feet are different so it is important to properly investigate about which are the best and try them in order to see how they fit for you. Comfort and support are what you should aim for when looking for the best shoes for ball of foot pain. The following list about the best metatarsal shoes that will help you relieve pain in the ball of the foot depending on your desired use and the type of foot you have. However, all of them are the best shoes for metatarsalgia that you will be able to find on the market. 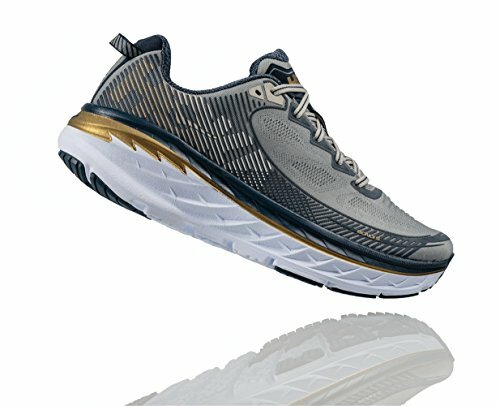 If you are looking for the best running shoes for metatarsalgia, the Hoka One One Bondi are the ones perfect for you. These shoes are perfect for running and most physical activities that demand a lot of movement and pressure on the feet. With a hard rocker with a great cushioning sole plus a mid-rocker sole that will reduce exponentially the stress and pressure on the ball of the foot. However, the most important innovation on these shoes is the protecting sole on the heels, helping to reduce that increasing pain on the metatarsal bones by also reducing the ankle movements, providing more stability and comfort that will protect the foot from injuries. They are made with an upper mesh with breathable materials and a synthetic overlay. It boasts a padded tongue and a breathable fabric along with an insole that can be removed. The hard rocker sole and the midsole are almost 3 times more cushioned and supportive to the feet, absorbing more pressure and avoiding uneven stressing. These shoes are really stable and comfortable, however, they may not help in reducing ankle movement to the sides due to the forefoot rocker design. However, they are secured enough and can be used for many different activities and types of surfaces. They have a thicker hard rocker sole and midsole, giving more support to the arch and heels of the feet. But these Hoka’s can be somehow dangerous, causing ankle pain and stress due to the increased cushioning on the sole. Also, this sole tends to be stiff due to the thickness of it. However, they are the most comfortable and lightweight shoes available for running. 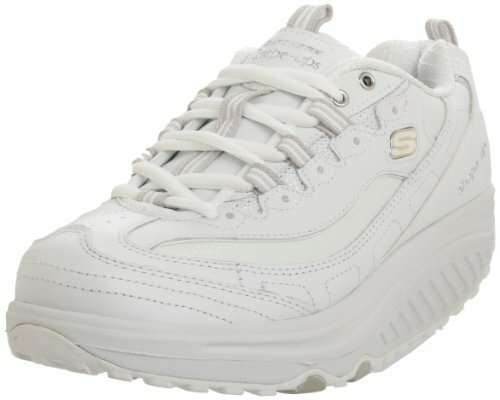 The Shape-Ups from Skechers are the best sneakers for metatarsalgia and arthritis. They are mostly designed for people who tend to work for a lot of time while standing. These shoes reduce the pain on the metatarsal area by reducing the stress and pressure on the heel and arch of the feet. These shoes are mid-foot rockers, with an elevated cushioning on the toe area and the heel, helping to increase comfort and support. Also, it has the thickest sole on the mid part, helping to reduce pain but limiting the range of movement of the feet and ankle. These shoes are great for the most part. They are wonderful for physical activities, helping you tone up your muscles better and making your body feel a lot more intense with each exercise. It is not as great as it should when it comes to weight loss but can still help a lot at maintaining a great fitness level. On the other hand, they are not totally stable. These shoes feel a little unstable in the heel, making them bad choices for people with instability problems. They are mostly designed to work on flat surfaces, but can still be really wonderful for almost any person, for running, walking, or just about anything. 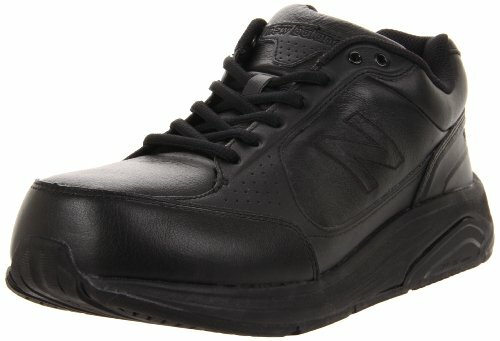 The New Balance 928 are the best walking shoes for metatarsalgia. These shoes are very responsive and help people a lot when it comes to relieving that annoying pain on the metatarsal area. They are made with the highest quality of soft leather and come with a high variety of styles and colors for you to choose. These shoes are also full of many other features that will make them one of the best when it comes to shoes for the ball of foot pain. They will help you have more control, stability and a better comfortability on your whole feet. This shoe, being the best for walking in this area, will have a better stiff rocker sole in order to support your feet better. They also have a wider toe box and will let your feet rest without applying much pressure and thus relieving any pain you may have from tight shoes. However, they are actually the most effective against pressure and strain on the ball of the foot, relieving any kind of pain you may have thanks to its wonderful forefoot sole that adds comfortability and support, plus a rollbar that prevents the foot to move inadequately. When it comes to the Alegria Debra Shoes, we can easily say that they are the best shoes for metatarsalgia for nurses as they are specially designed for women. However, they work effectively for any woman who has to stay standing in their work or any other type of activity that demands a lot of standing thus a lot of pressure on the ball of the foot. They are very comfortable, made with the best rocker sole that offers the best protection against long times standing. Also, it has some clogs made of the highest leather quality, plus some small pieces made of elastic in order to adjust the shoe perfectly for any feet. However, they are very recommended for women with toe arthritis as it helps to relieve stress on this area of the feet. 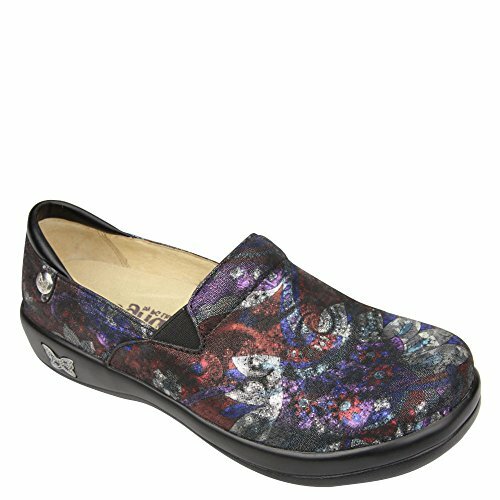 The Alegria Debra shoes are simply the most comfortable and relieving shoes for women. They come with a mini rocker sole that helps to reduce toe movements, decreasing the pressure on the metatarsal area in order to achieve better effects against this suffering. It is the most supportive and comfortable among the best shoes for women with metatarsalgia. On the other hand, the Alegria can also come in very different models and styles, but always with the same effect and comfortability that makes them the best against arthritis, metatarsal pain, and overpronation. Even so, some people don’t recommend them on feet with high arches. Dansko is one of the greatest brands of shoes for metatarsalgia and other feet sufferings. 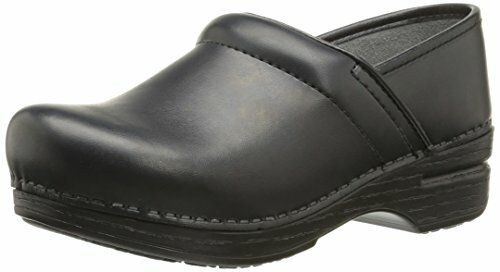 These Dansko Professional XP are shoes for metatarsalgia and plantar fasciitis, however suitable for everyone who suffers from the ball of the foot pain and toe strain. They come with a very rigid rocker bottom sole that helps them add more support and comfortability to the feet. They reduce the flexion of the metatarsal bones and joints, releasing stress from the forefoot area. Also, they have a great support for high arches, helping people who have to stand out for long times. They come with different removable insoles and a bottom made of high-quality rubber that helps against slippery surfaces. These shoes are specially designed for women, they are known for being the best walking shoes for women for metatarsalgia, as they offer the most comfortable and pain relieving effect in people who suffer from this kind of syndrome. If you suffer a lot of pain and swelling from walking and standing too much, the Dansko are the best solution for you. Helping to relieve toe pain, metatarsal pain, arches pain and even arthritis, as they are very comfortable and made with the best rocker bottom soles. They also come with the best shock absorption and support, making them not only comfortable but very effective against many different syndromes and pains you may be suffering from in your feet. 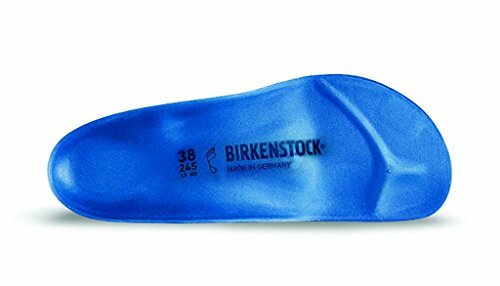 The Birkenstock Birko are the best insoles for metatarsalgia. These insoles are one of the best ways to relieve pain on the ball of the foot and many other sufferings of this kind. They provide the necessary padding and support on several parts of the feet which tend to get affected by strain, stress and too much pressure. These Birkenstock Arch Support Insoles help the feet to spread the pressure and relieving a lot of pain in the whole feet. They are also very supportive on the heels and the ball of the foot in order to avoid any pain that could come from too much walking or long times standing in the same position. They are simply the most comfortable and effective insoles for metatarsal pain. With the wonderful feature of metatarsal bones support due to a great cushioning in the metatarsal arches, they can relieve pain in the ball of the foot easily. And you won’t have to worry about their quality as they are made with the best foam which has a shock absorption feature that provides a wonderful cushioning for repetitive shocks and movements on the feet. Plastazote top cover molds to your feet for a custom fit and is approved for diabetic consumers. Abzorb cushioning provides maximum shock absorption at the heel and forefoot. 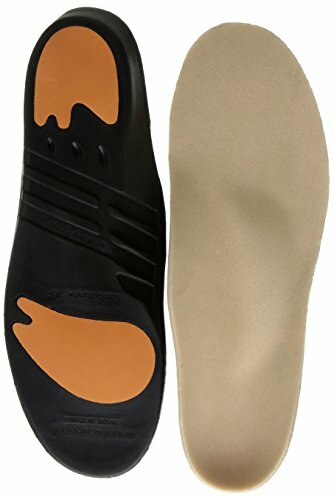 Uniquely designed metatarsal support helps prevent/relieve pain and discomfort caused by plantar fasciitis, Morton's neuroma, and metatarsalgia. If you are looking for wonderful Insoles that will provide perfect cushioning and support for the whole feet, the New Balance IPR3030 are the ones you are looking for. With a wonderful ABZORB technology on the forefoot and an extra padding on the heels, these shoes will help you reduce any uneven pressure on your feet that could cause pain. They also provide one of the most supportive designs for high arches and deep cups on the heels, providing the most comfortable and relieving experiences in insoles for metatarsalgia. If you want to relieve stress on the metatarsal area of your feet, these insoles are just perfect for you. They will not simply help you relieve any pain you have on your feet, they are also very effective for many other syndromes and sufferings on the feet like diabetes, arthritis and of course, metatarsalgia. They come with a Plastazile layer on the top part of the insole, plus a Poron and an ABZorb cushioning, relieving much more pain and helping to absorb more shocks from different movements. They will help anyone who walks, runs, or just does any type of athletic activity as they are very supportive and comfortable on the feet. As you see, the best shoes for ball of foot pain can not only help you relieve pain from metatarsalgia but from many other syndromes. However, these shoes & insoles will be the best option for you if you want to avoid any further pain or increasing pain on your feet. We recommend you to choose wisely before buying, always taking into consideration the most important features of each one and the use you are going to give to the shoes. Remember that they are all different and support many different areas of the foot, but always giving the perfect support and pain relieving effect depending on your problems. The best shoes for metatarsalgia we showed you are just the most comfortable, supportive and of the highest quality you will find on the market, so take your time testing them and researching correctly so you can later choose the ones that are the best for you.